The popular HBO show “Big Love” features a polygamist family headed by actor Bill Paxton who has three wives living in the Salt Lake City suburbs. Each wife has her very own house nestled in a neat little row and joined together by a common yard with a pool. This is the fantasized version of polygamy HBO-syle. Paxton and his brood live secretly concocting cover stories to keep their nosy Mormon neighbors guessing. But back in the bad old days when polygamy flourished in Salt Lake City there was no need to hide as Paxton’s paranoid character does on the television series. Polygamy was practiced and honored from the top down by church members. 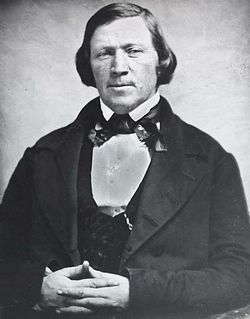 Mormon “prophet” Brigham Young lived quite publicly with his many wives in downtown Salt Lake, virtually in the shadow of the Mormon Temple. 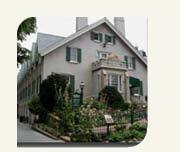 Young’s home named “The Beehive” was considered the official residence of the second president of The Church of Jesus Christ of Latter-day Saints (LDS). And right next door he housed his plural wives in what is known as the “Lion House” named for the stone lion placed above its porch. The Mormon leader took pride in polygamy and regarded it far more seriously than the fictional character Paxton plays on HBO. Brigham Young reportedly married and/or was “sealed” to more than 50 women and had at least 57 known children. Some researchers have concluded that Young had 27 wives. “Lion House” caretakers say that the building was “designed with a communal family in mind.” And though the property had no swimming pool like Paxton’s, it included twenty bedrooms. Lion House has been lovingly preserved by Young’s faithful religious progeny and its 150th anniversary is being celebrated this year reports the Salt Lake City Tribune. Mormon historians say the home housed 75 people, including 40 children under the age of 13. The second Mormon “prophet” used to summon his wives by ringing a big bell three times every evening. Young died in one of the bedrooms within “Lion House” during 1877. Today the house is used as a public place and is booked for parties, dinners and special events, even once for a bar mitzvah. “If Brigham Young were around, he would be happy to see it used that way,” said its executive chef. Well, maybe not about a bar mitzvah, given his view that Mormons have effectively replaced the Jews with their own “restored priesthood” according to the revelation given to their original “prophet” Joseph Smith. Some say that the Lion House is haunted. Perhaps by the spirits of Young’s deceased wives still responding to ringing bells. Mormons themselves seem to be haunted by the practice of polygamy, which was ended by the Mormon Church officially in 1890. However, Utah still has quite a few diehard polygamists and remains populated with many descendants of polygamists, including many that claim Brigham Young as an ancestor. The preservation of places like “Lion House” demonstrates the often conflicted and ambivalent feelings Mormons have about polygamy and polygamists, which is an important part of their history. Mormons denounce present-day polygamists, but at the same time honor historic ones such as Mormon Church founder Joseph Smith and his immediate successor and Utah pioneer Brigham Young. To say the least, polygamy remains something of a Mormon conundrum. in the life here after. and alledged abuses there in. officials in Utah and committed to written documents.